Ah, the freedom that comes with living on your own for the first time. Nothing in the world is quite like it. You’ll feel a wide range of mixed emotions. From freedom and independence to new responsibilities and stresses, moving out of your parent’s house and attending college is an exciting time. And while you may be forced to live in a university-assigned dorm for a certain amount of time, you’ll also likely find yourself confronted with the choice between a dorm or apartment at one point or another. Which will you choose? Dorm life is one of those things you truly have to experience to understand. There are good parts, bad parts, and plenty of ugly ones, too. While it can be fun to live in close proximity to your friends and peers, the ‘fun factor’ eventually wears off and reality quickly sets in around week two or three of the first semester. Moving in. We’ll start with move-in day. It’s chaotic and stress inducing. That’s because you have hundreds or thousands of students all moving into a select number of buildings in a very small amount of time. Couple that traffic nightmare with the logistics of moving desks, mattresses, boxes, TVs, and mini-fridges in crowded elevators or up multiple flights of stairs. Regardless of how good the student living coordinators are at their jobs, it’s a challenge to make the process work without people being stressed. Communal bathrooms. Many dorms are laid out in a way that bathrooms are shared between multiple rooms (or even an entire floor). Not only does this eliminate a lot of privacy, but it can also be pretty nasty if you’re a clean and organized person. It’s also not fun to either walk back from the shower to your room in a towel or have to remember to bring clean clothes with you to the bathroom. Doing laundry. Having to do laundry is bad enough, but it becomes exponentially worse when you don’t have a washer and dryer in your room. This means you have to haul your hamper to a laundry room that’s in the basement of the building or somewhere else on campus. When you get there, it’s entirely possible that all of the machines are being used or that someone has forgotten to take their load out. This may not be an issue everywhere, but many campuses have extremely limited parking and you’re often forced to park in a garage or lot that requires you to walk a few blocks. This can be inconvenient when you’re carrying lots of stuff or need to get somewhere in a hurry. Lack of quiet time. Dorms are typically pretty loud places. Between the guys down the hall blaring music at 3 a.m. to your roommate playing video games while you’re trying to study, it’s challenging to find peace and quiet. If you’re required to live in a dorm this year, we’re not trying to freak you out. Every situation is unique and you may find that dorms at your school are just fine. However, we’re sticking with the law of averages and predicting that you’ll probably be ready for an apartment by the end of the semester. That’s just how it typically goes. More privacy. While you’ll probably still have a roommate in your apartment, you’ll most likely have a private room that allows you to shut the door and enjoy some much-needed alone time. This lets you concentrate on studying and get away for a while. Lower cost. It may seem impossible, but apartments are generally cheaper than dorms. That’s because dorms require you to pay room and board, which includes additional costs for things like food, laundry services, utilities, and more. When you move into an apartment, you only pay for what you use. Better amenities. 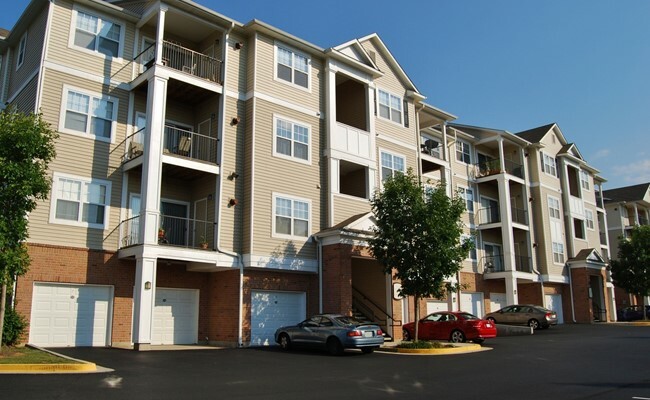 Many off-campus apartments have awesome features and amenities that you won’t find in a dorm. In addition to basics like a kitchen and private bathrooms, there may be on-site amenities like swimming pools, tennis courts, and fitness centers. Fewer restrictions. Dorms are typically managed by resident advisors who set very specific rules and keep an eye out for behaviors that violate those rules. And while some rules are in place to keep you safe and out of trouble, others are just annoying. Well, in apartments, you’ll find very few rules. You can come and go as you please and – as long as you’re not doing anything illegal – and essentially do whatever you like. Live with friends. When renting an apartment, you get to choose your roommates. This means you can live with people you actually enjoy being around. No more random room assignments or sleeping five feet away from somebody you don’t know. Living in an apartment won’t be perfect, but it’s far better than a cramped dorm room. If you’re preparing to move into a new apartment this fall, use this handy college apartment packing checklist to make sure you don’t forget anything. Otherwise, you’ll end up making frequent trips to the store. And who wants to do that when your new apartment complex has an inviting swimming pool waiting to be used?